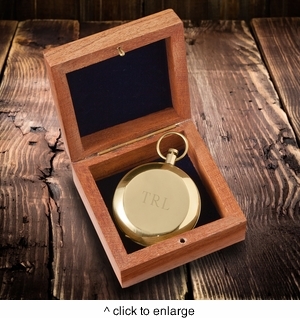 DETAILS: Our Personalized High Polish Gold Keepsake Compass will meet your discriminating eye for good taste. Remind them of a time when man navigated the globe by maps, stars, and compasses—a skill worthy of retaining. And compasses never need to be recharged!